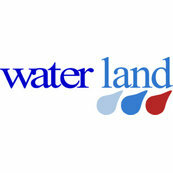 DLS manufactures cleaning products for household and commercial use. One particularly amazing window cleaner requires high purity water to mix with its proprietary ingredients to form a clear, streak-free finish. 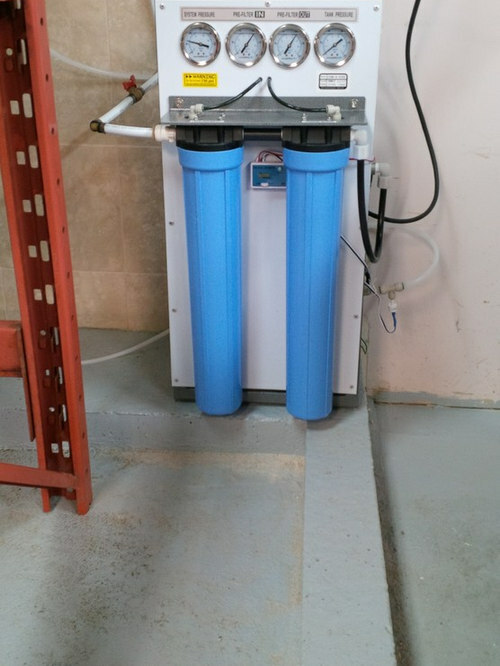 Water Land supplied and installed a 300 gallon per day commercial reverse osmosis system which produced the pure water needed for this delicate process. 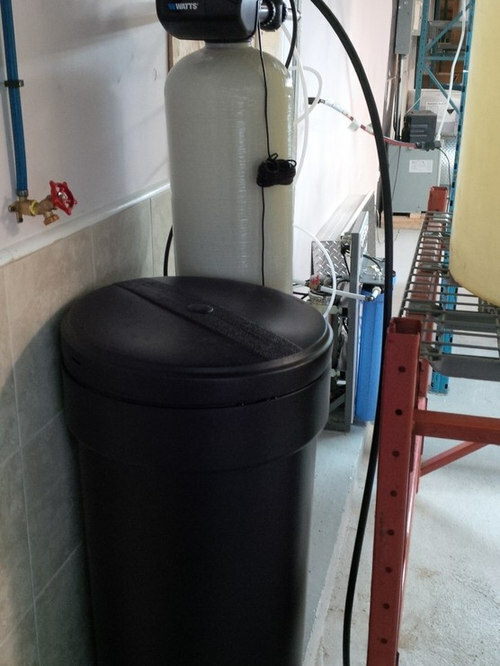 The water softener is required to pre-treat the water being fed to the reverse osmosis system. 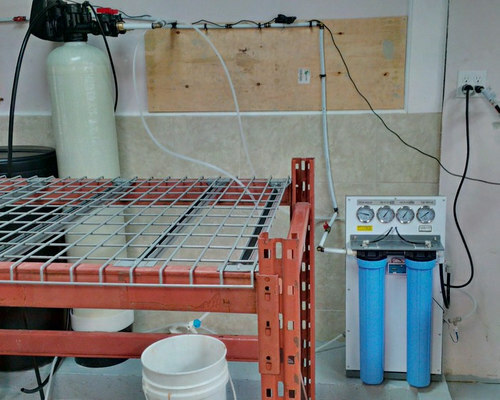 A 300 gallon per day commercial reverse osmosis unit with pressure gauges and TDS meter. 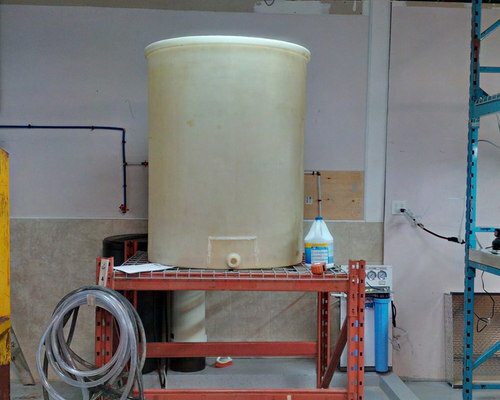 The float shut-off assembly was secured to the tank lid. 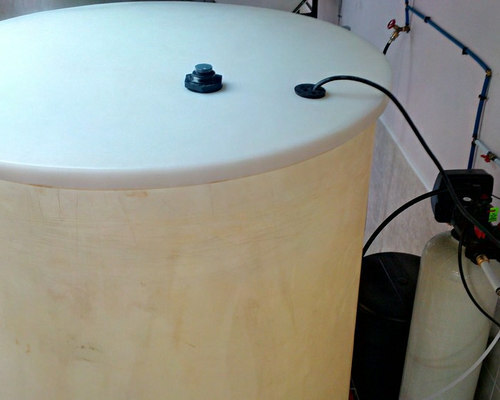 A large 300 gallon holding tank contains the reverse osmosis water before it is transferred to the mixing stage.